There’s nothing—and we mean nothing—that feels as fresh and satisfying as a little spring cleaning. Hearing the first bird chirps on a sunny April morning just puts us in the mood for a fresh start. 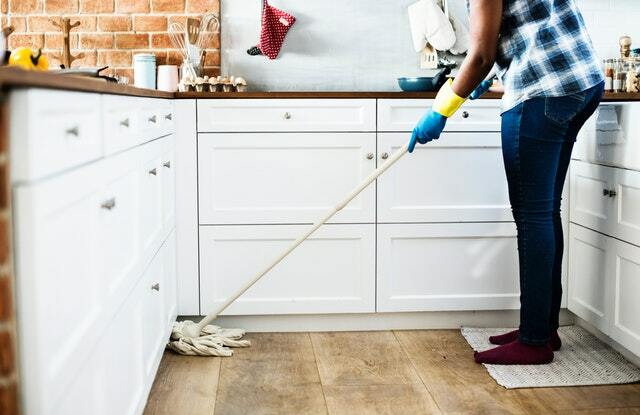 Whether you have a few minutes or a few hours, here are 9 easy spring cleaning tips to make your home sparkle after a long, cold winter in Colorado. 1. Tend to your windows. During the cold Colorado winters, you likely haven’t opened up your windows (or even given them a second thought). To really freshen up your space, wipe down all of your windows and open them up. Letting fresh air in is good for the soul. 2. Wipe down the countertops. Next, wipe down all of your countertops. Break out the granite cleaner for the kitchen and don’t forget about the guest bathroom. Clean countertops always make a room shine. Cabinets, whether in the kitchen or the bathroom, can easily get out of hand in winter. When it’s cold, you just don’t have the same motivation to clean and cabinets can be the easiest places to hide clutter. Consider reorganizing one or all of your cabinets to get started. Dust, pet hair, and dirt settles in the carpets and rugs—and the quickest way to feel refreshed is to give your whole house a quick vacuum. If you’re feeling extra inspired to clean up, you might even hire a professional steam cleaning service to wash your carpets. Sometimes a new view is all you need to feel fulfilled. Rearrange the furniture to bring new, positive vibes into your home this spring. (It’ll also give you a reason to vacuum up the extra crumbs from under the living room couch!). 6. Dust off the patio furniture. Next up: the patio. Grab your outdoor lounge chairs or patio table from the garage storage and dust it off. Soon enough, summer will arrive and you’ll want to enjoy this space. 7. Reassess your cosmetics drawer. Again, bathroom cabinets can collect the most clutter if you’re not motivated to clean all the time. And, who has that kind of time? This spring, reassess which cosmetics you need to keep. Check expiration dates, throw items away, and start anew. 8. Freshen up the linens. Another way to make your home appear fresh this spring? Wash all of your linens and refresh the bedrooms with new styles. Whether this is simply changing the sheets or buying an entirely new set of towels, that’s totally up to you and your budget. 9. Consider a bigger project. Do these tips seem too small for your spring refresh? Thinking bigger this year? Whether you’ve run out of space or want to give your kitchen a facelift, consider a home remodeling project, too. Spring is the best time to decide what’s right for your home and budget—but you’ll want to call soon in order to get on the schedule for a professional contractor. At H3 Construction and Design, our team is always happy to walk you through considerations for any home improvement project. Tough questions are our speciality—and we can sit down with you and provide consultation for any home addition project you are contemplating. Want to start a home addition or remodeling project in Northern Colorado? H3 Construction and Design is one of the most trusted home addition contractors near Denver. Call us today at 970-515-2264 to learn more about our expert remodeling services or contact us online—we can’t wait to work with you!